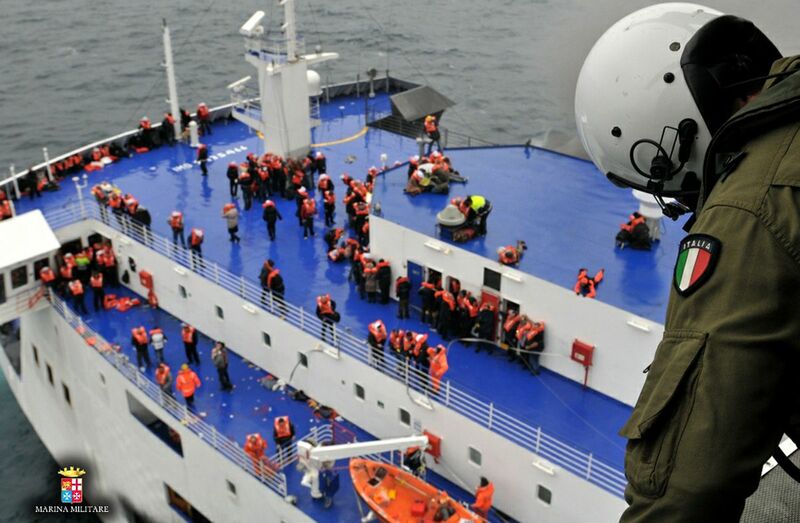 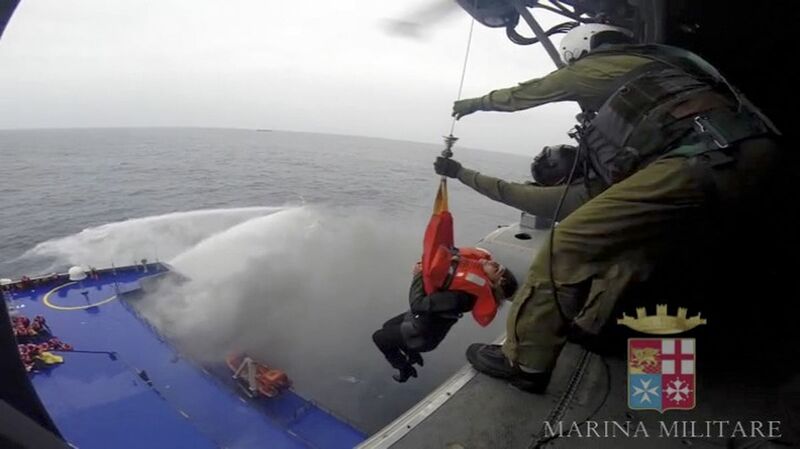 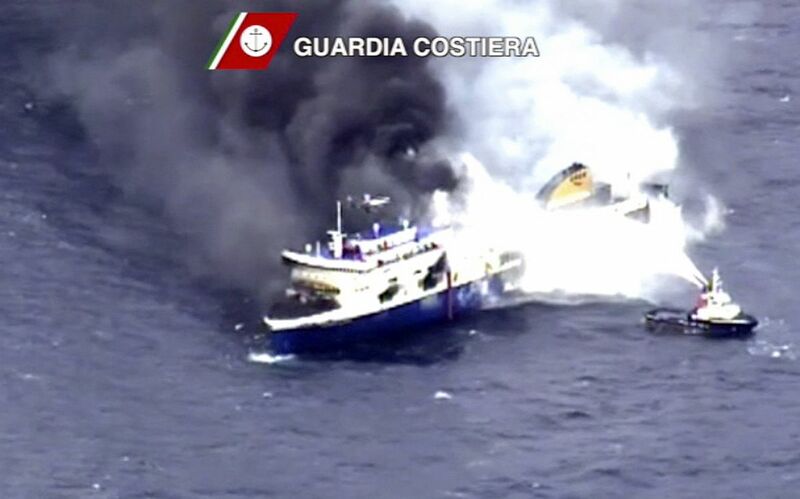 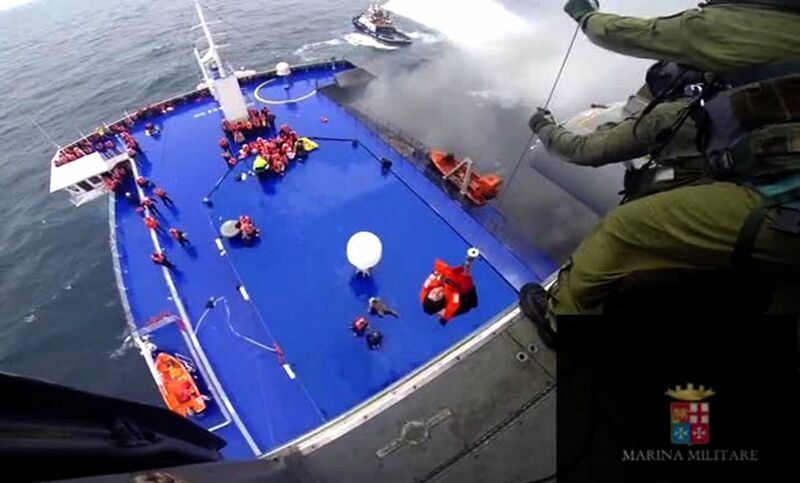 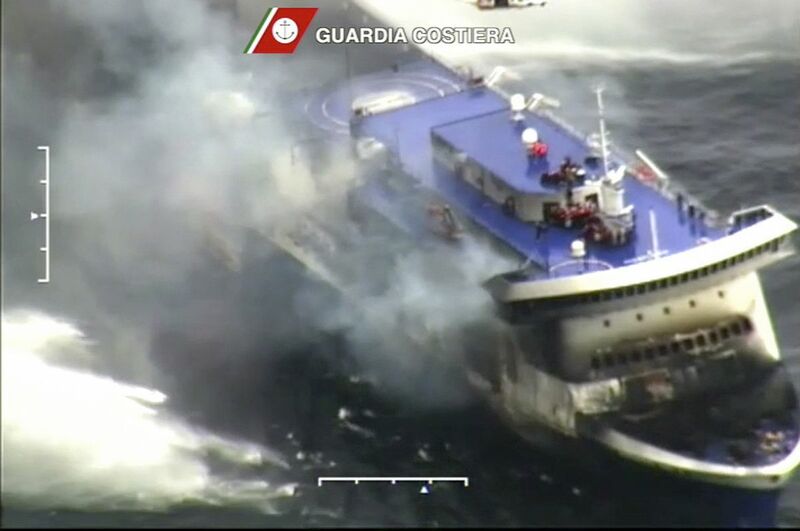 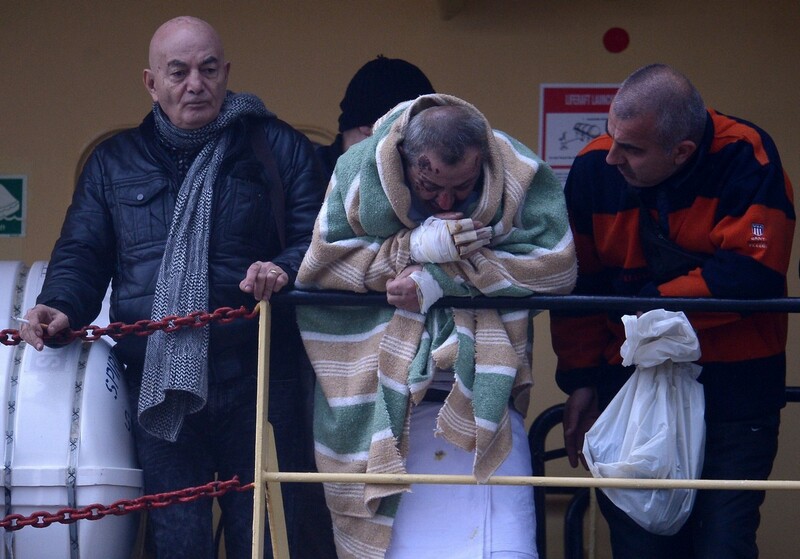 A photo grab taken from a video made available by the Marina Militare Italiana on December 28, 2014, shows the ongoing evacuation of passengers from the burning ferry "Norman Atlantic" (L) adrift off Albania. 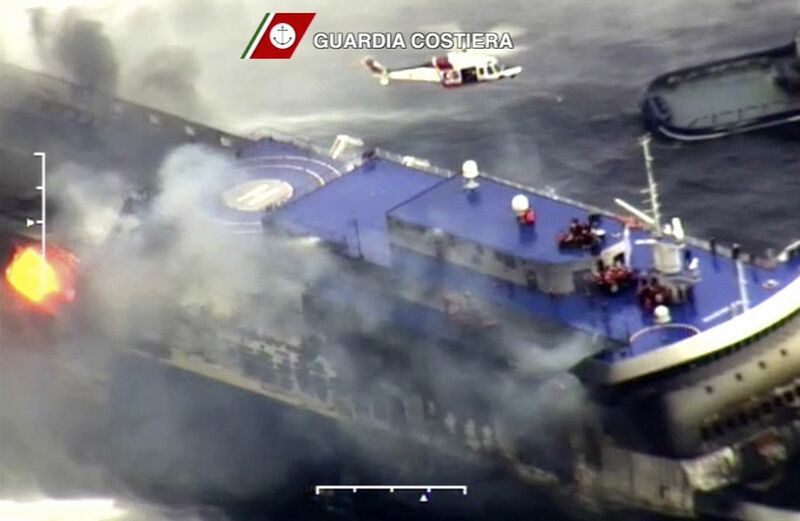 Desperate passengers pleaded by mobile phone live on TV to be saved from a burning ferry adrift off Albania as rescuers battled gale-force winds and billowing smoke to get to them. 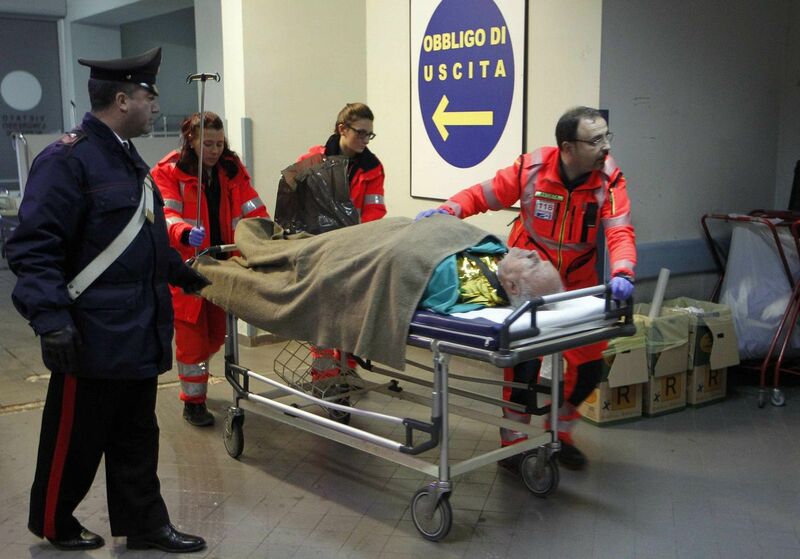 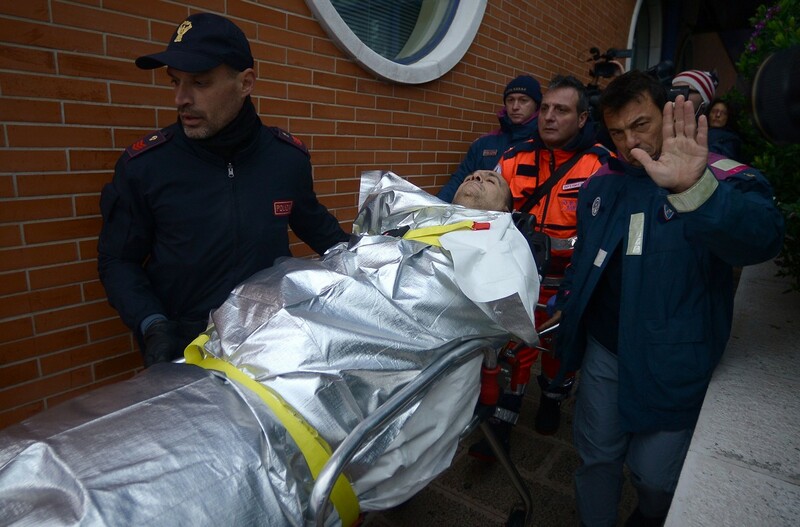 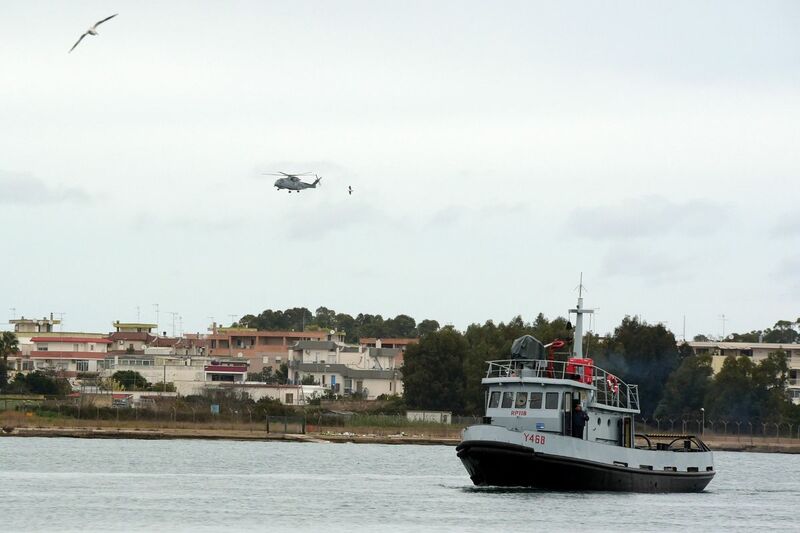 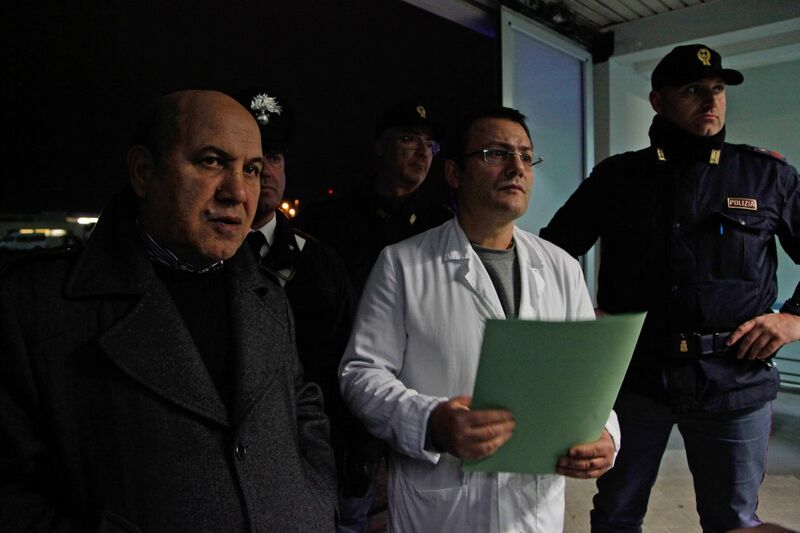 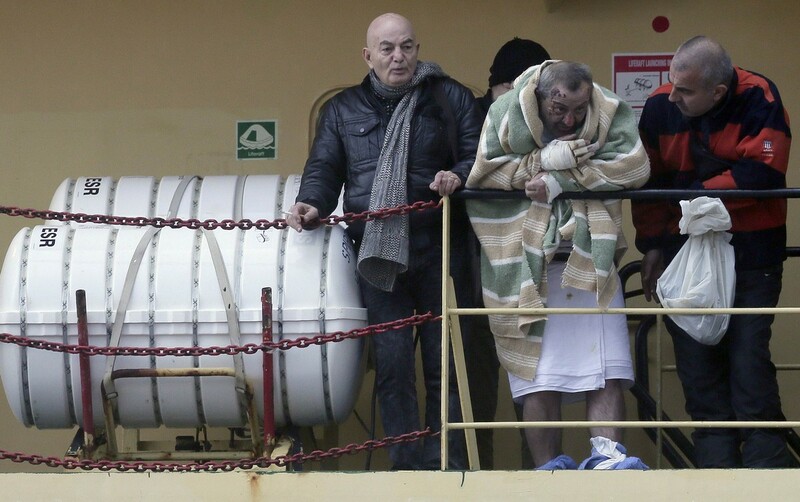 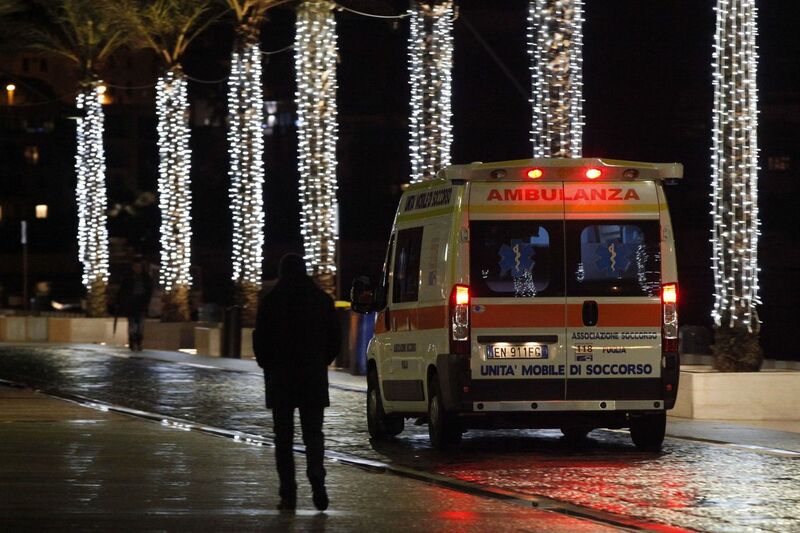 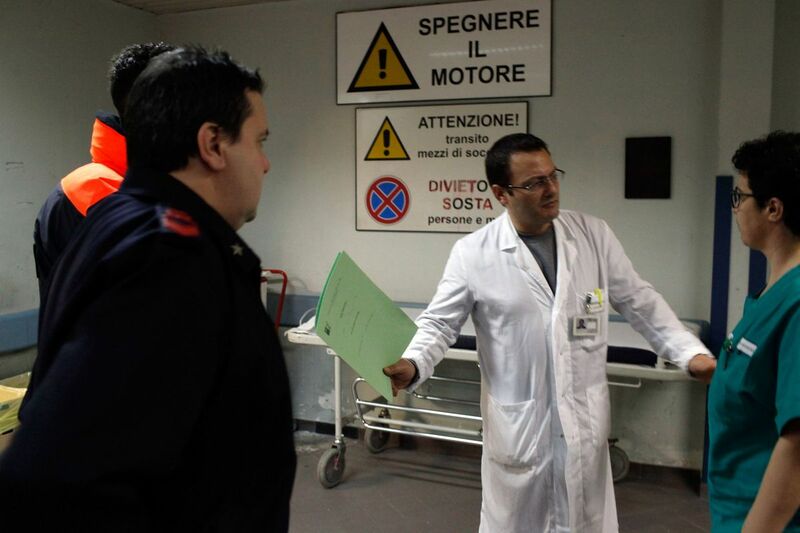 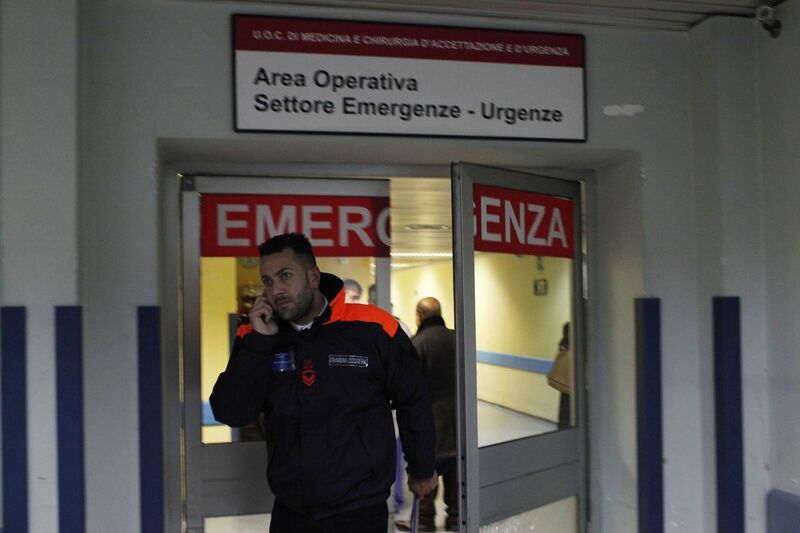 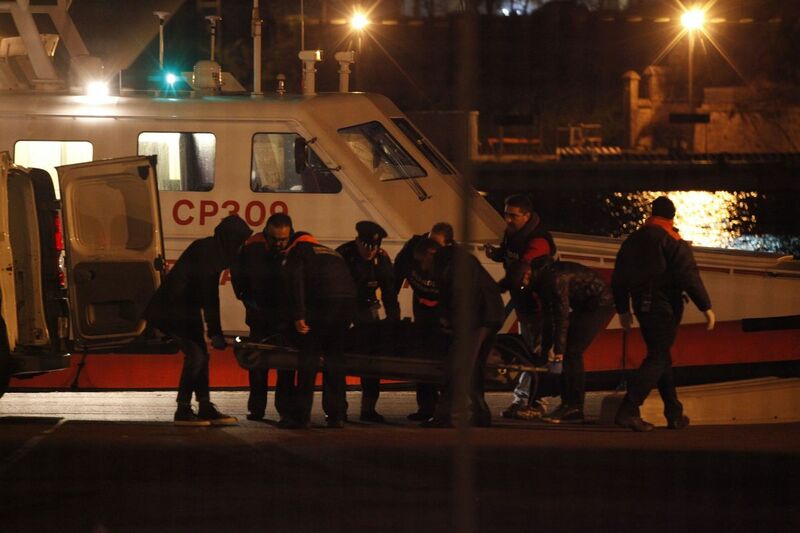 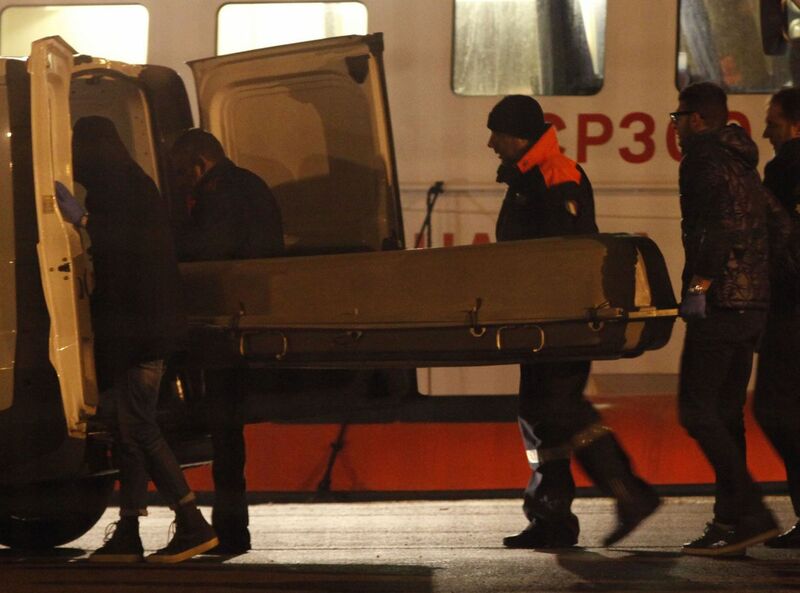 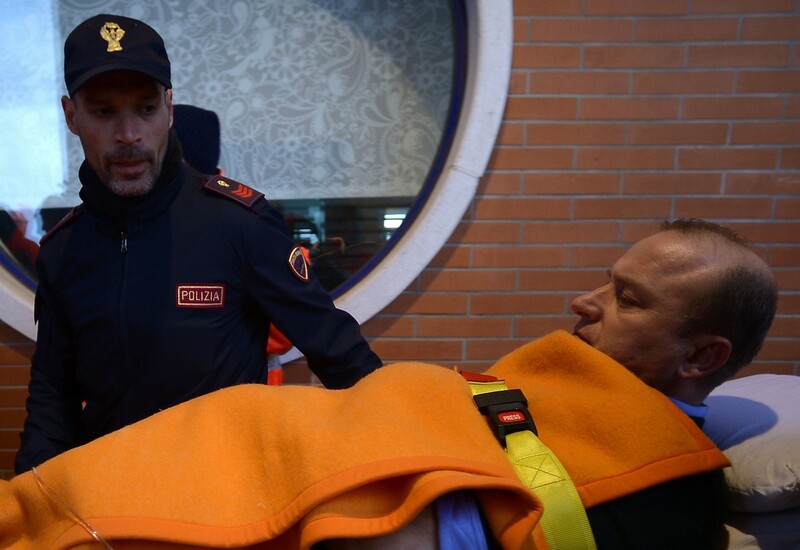 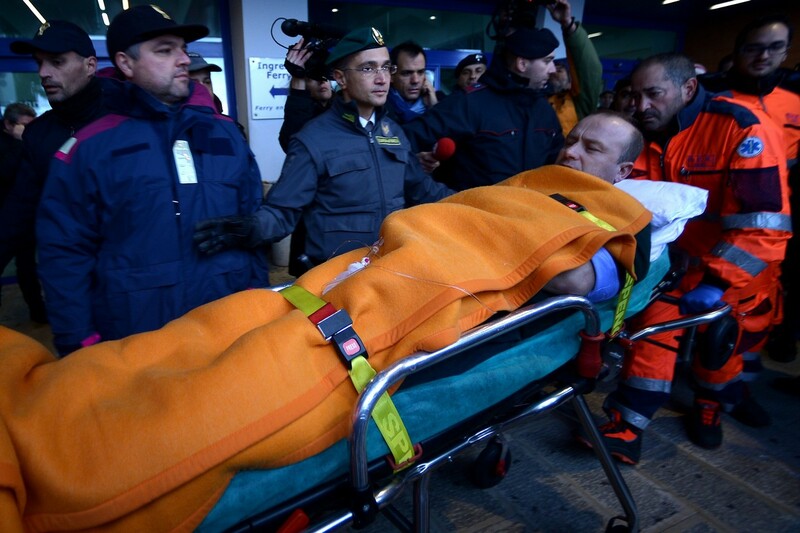 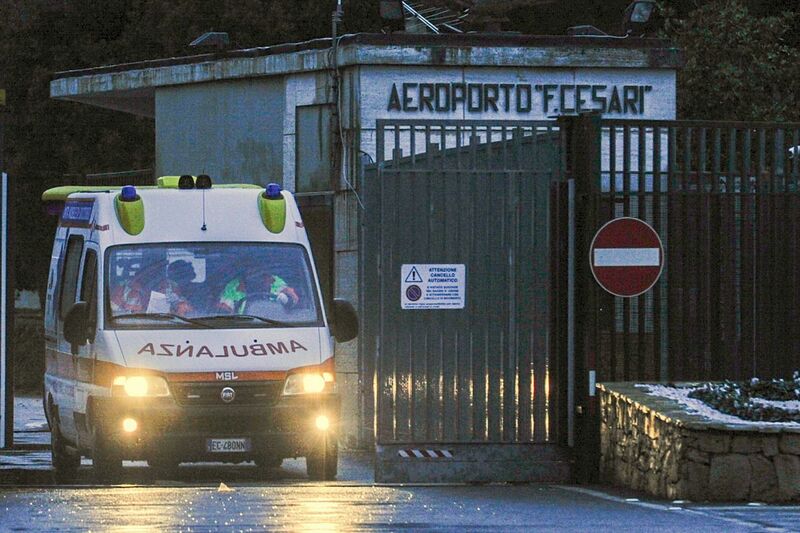 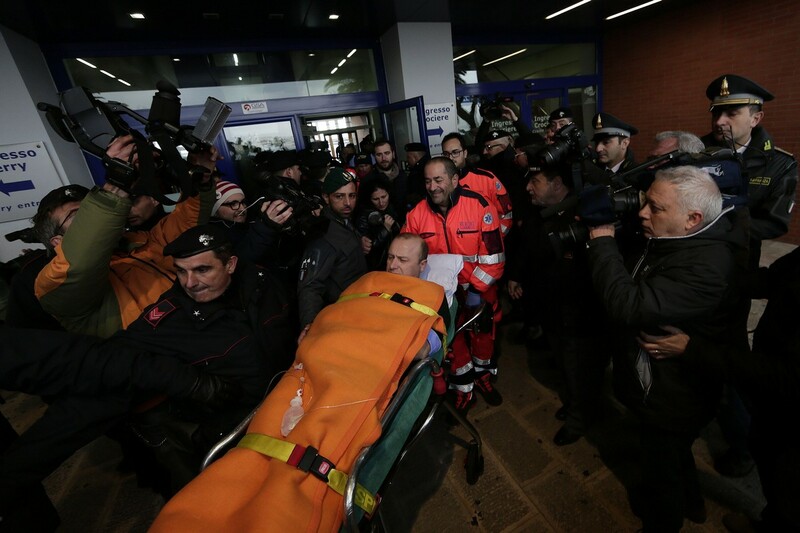 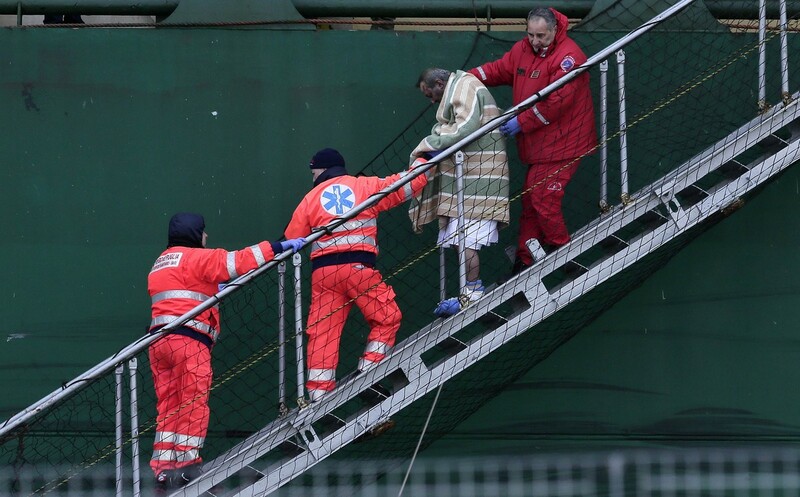 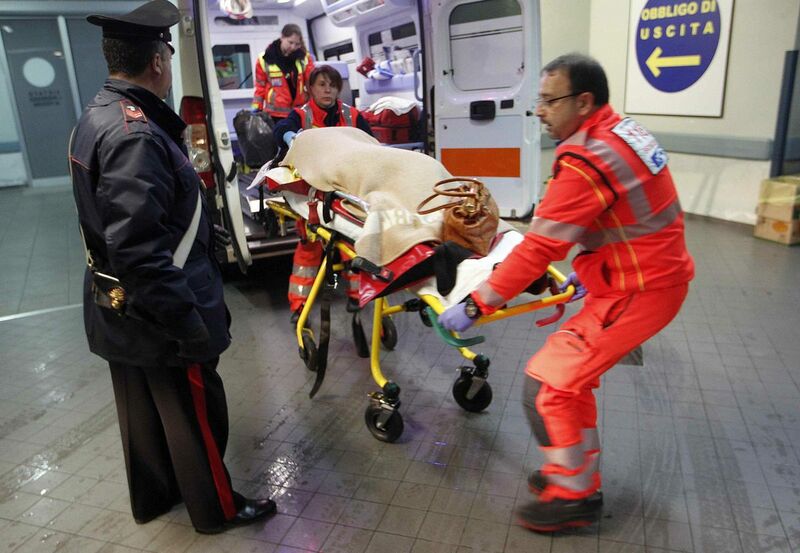 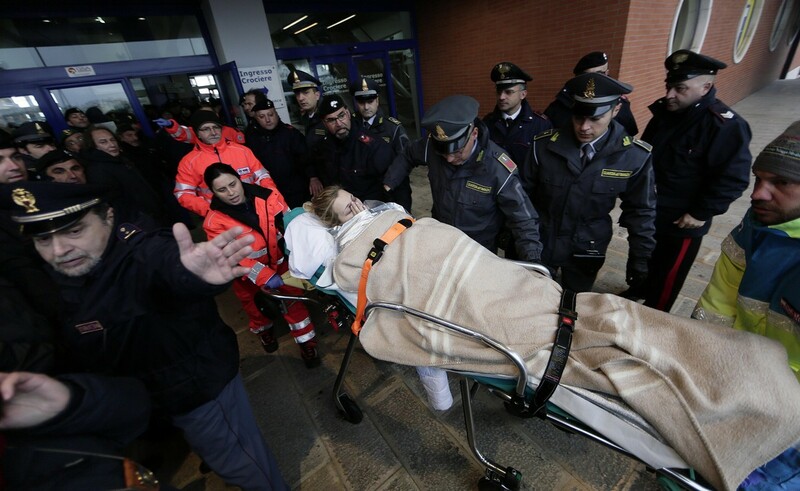 BARI, Italy - At least five people died after a car ferry caught fire in the Adriatic Sea, Greek and Italian officials said Monday, as survivors described a terrifying ordeal that could easily have been much more deadly. 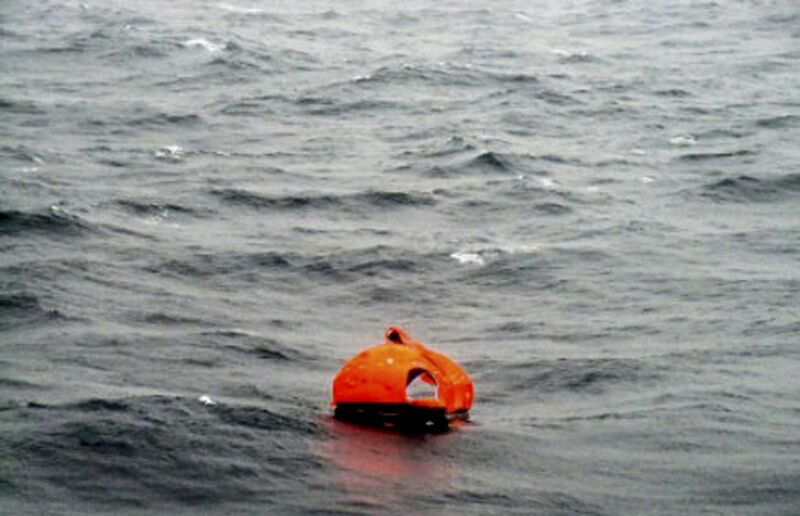 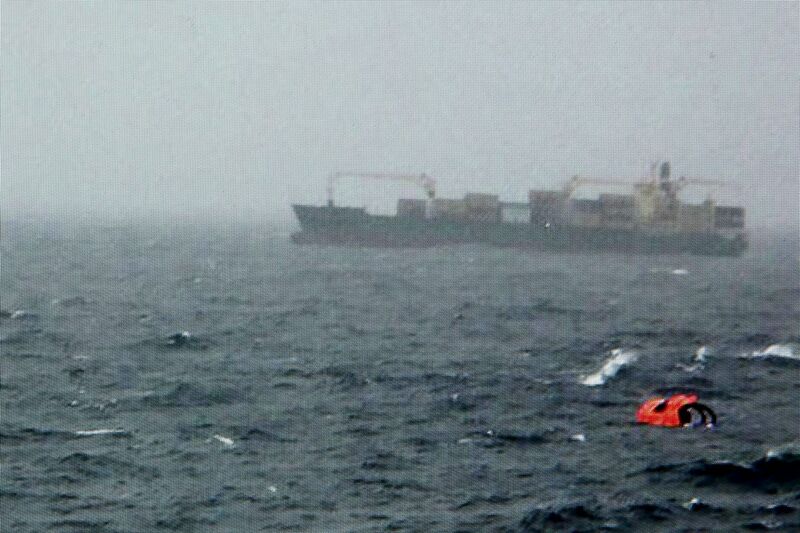 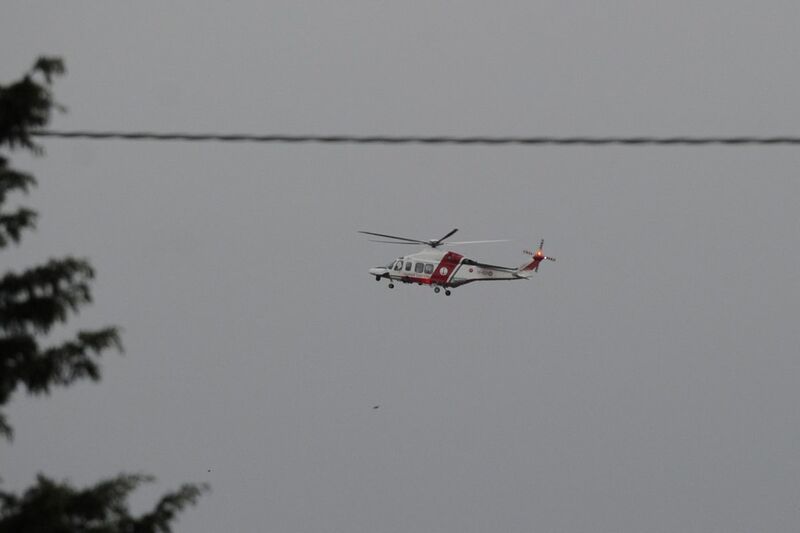 "The lifeboats did not work, there was only one of them in the water and none of the crew were there to help people." 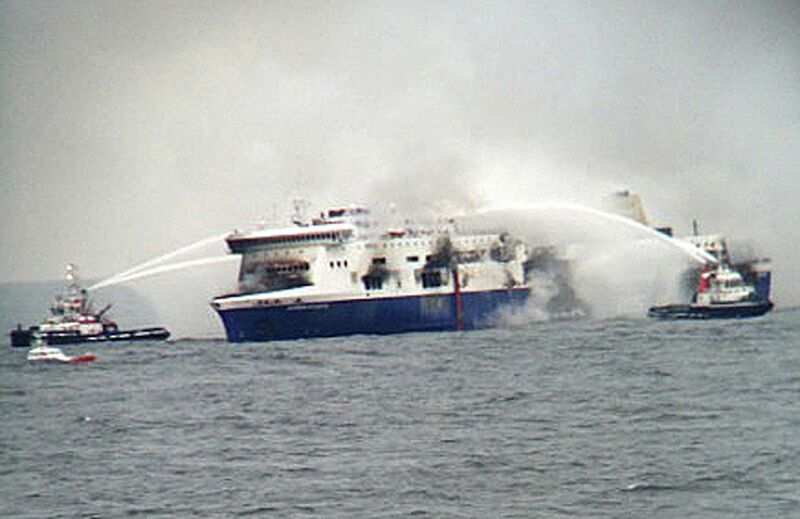 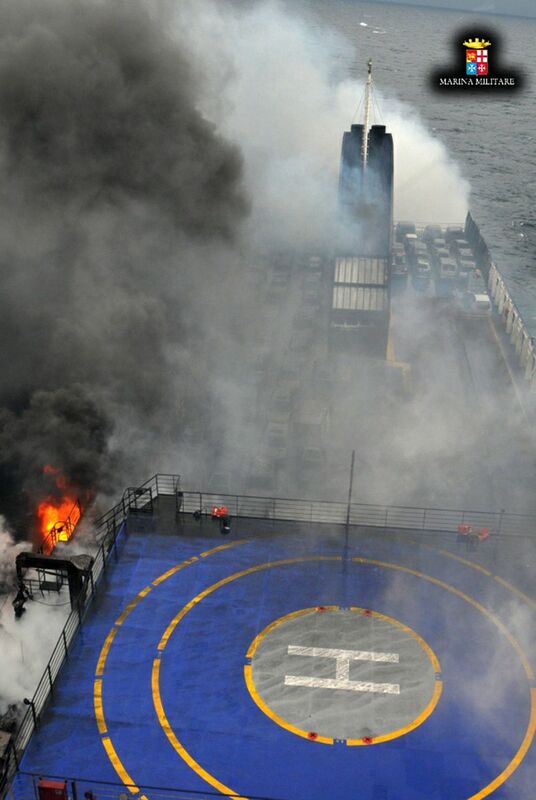 Around 60 people, thought to be mainly crew, remained on the ferry shortly before 1200 GMT Monday, nearly 36 hours after a fire broke out on the car deck and left the huge vessel drifting dangerously in high seas off the coast of Albania. 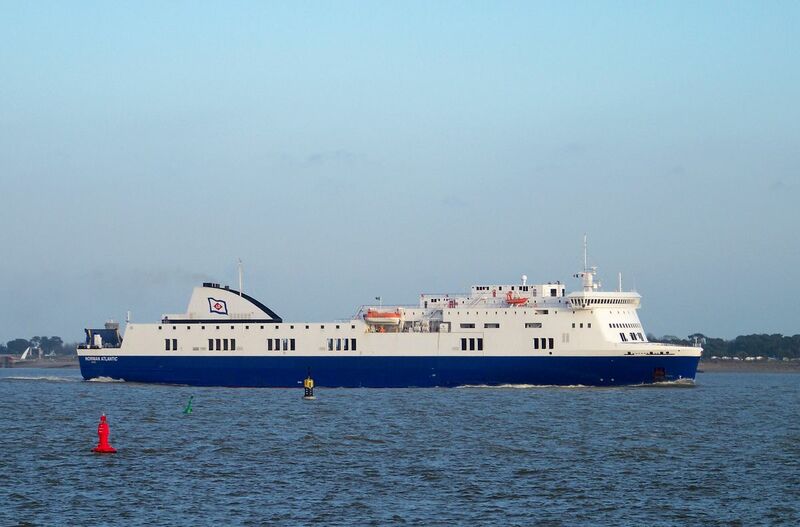 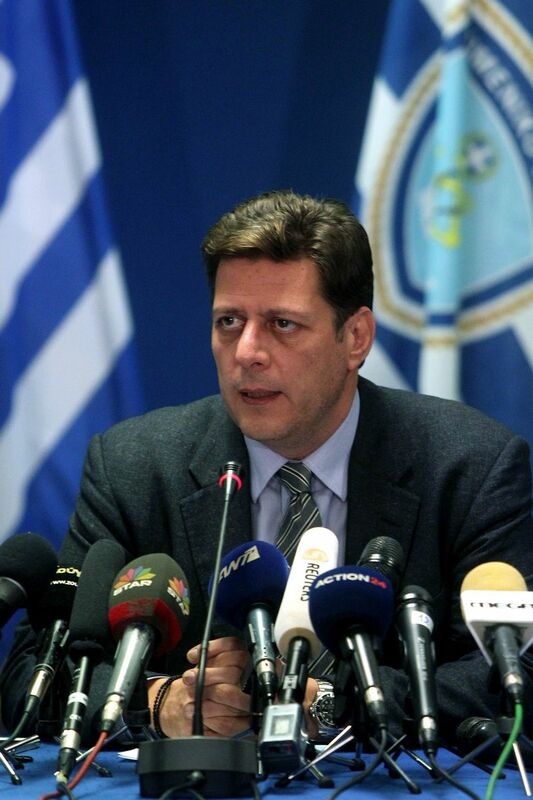 He insisted that the vessel, which was leased to Greek operator ANEK ferries, had passed a technical inspection which included its firedoors on December 19. 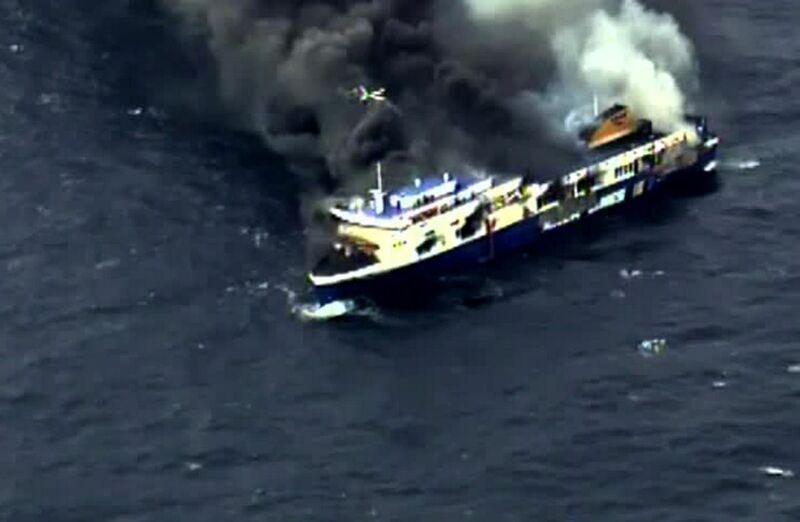 Athina Pappas, a Greek journalist who was travelling with her husband, added: "Everyone was consumed by panic and nobody was telling us what we had to do." 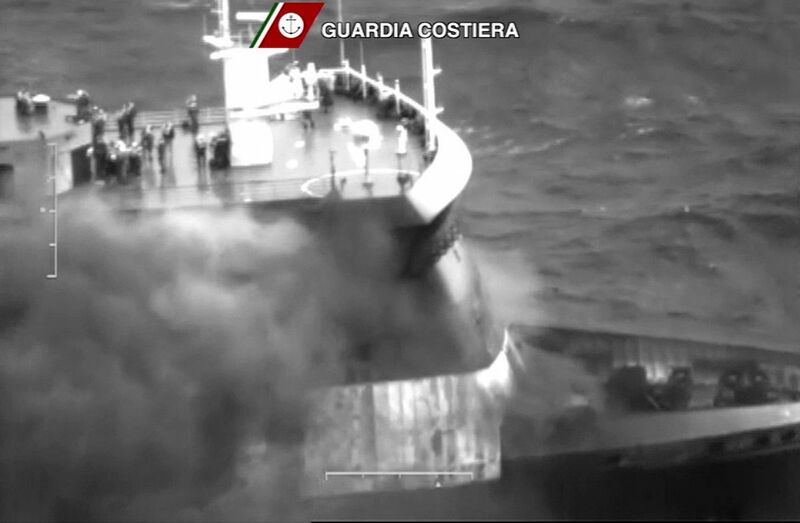 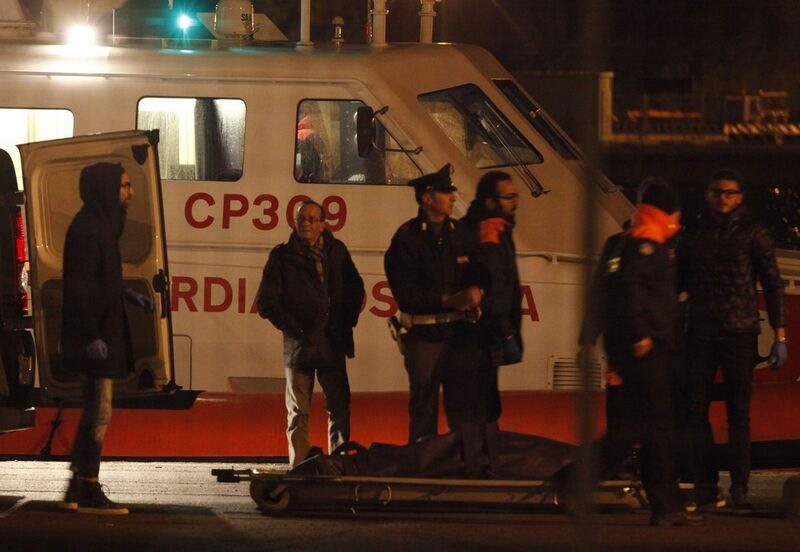 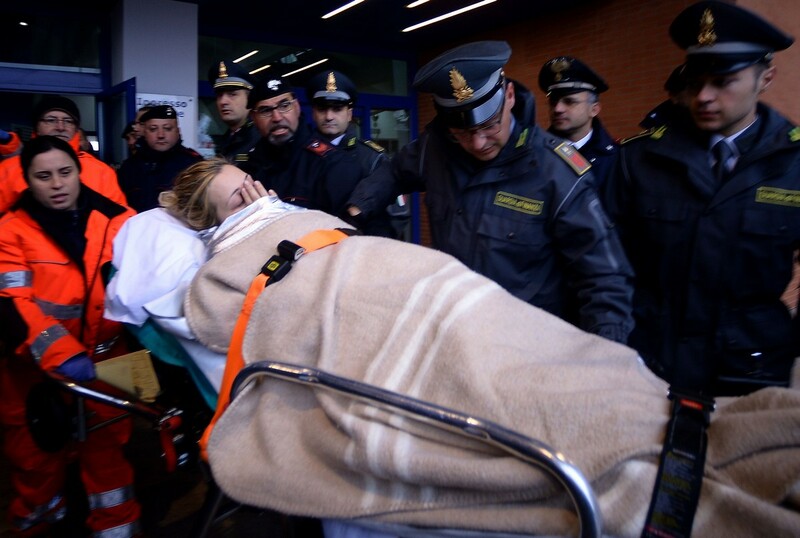 The Italian navy and coastguard worked through the night trying to get people off a boat that was being buffeted by powerful, bitingly cold winds and huge waves. 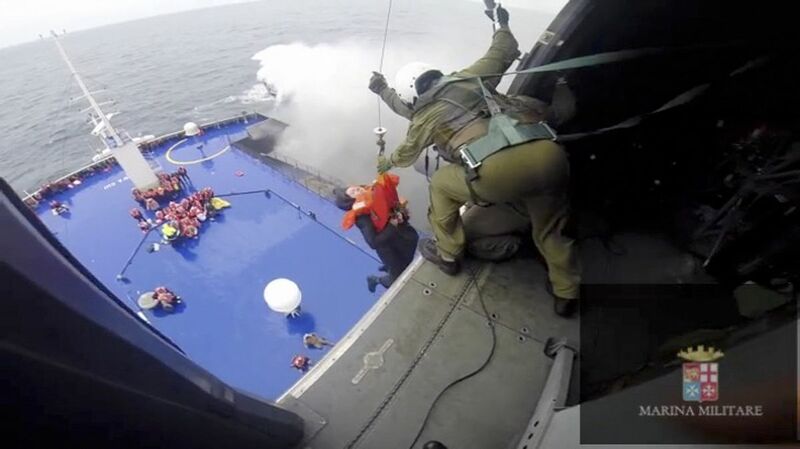 Despite their efforts, more than 200 people were still onboard at dawn, having spent 24 hours being lashed by sleety rain and gale-force winds and fearing for their lives.